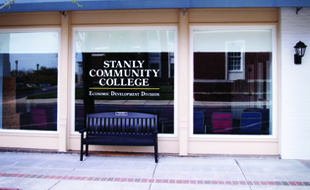 Stanly Community College observes the State-wide Multiple Measures for Placement policy. Placement testing is one of the measures used within the Multiple Measures for Placement Policy. Unless a student has been placed into curriculum courses under other measures listed in the Multiple Measures for Placement Policy, students must satisfy all requisites for curriculum courses by enrolling in and successfully completing all prescribed courses or modules for which placement testing did not give non-course credit. Guidelines governing the multiple measures for student placement can be found in the Multiple Measures for Placement Policy under Stanly Community College Policies. Students may complete placement testing offered through the on-campus Testing Center. Placement testing is available by appointment only. The Testing Center adheres strictly to appointment times to provide a distraction-reduced testing environment for students currently testing. Students who cannot complete the placement test on campus may obtain a voucher from the SCC Testing Center to complete the placement test at another authorized test center. 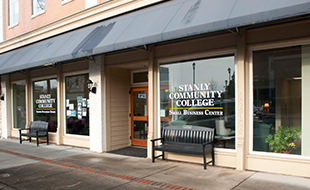 Stanly Community College will only accept transferred testing results in a sealed envelope or via electronic transmission (facsimile or e-mail) from the testing site at which the student completed the placement test. Only acceptable placement tests will be used for college readiness as indicated on the Multiple Measures for Placement Policy. Current students at SCC may take the placement test for free. Students completing the placement test to attend another North Carolina Community College must pay a $20 fee prior to test administration. Students may retest once during the ten years in which their test scores are valid. (Allied Health applicants should refer to the admission requirements for these programs for specific information regarding retesting.) It is recommended that students complete remediation prior to retesting. 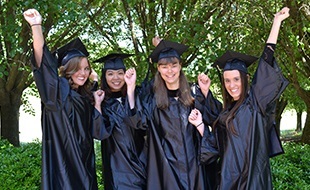 If the student is already enrolled in pre-college level studies at the time he or she retests and if the scores on the retest place him or her out of pre-college level, the student will follow the college’s standard withdrawal and refund procedures for tuition and books if he or she chooses to exit the pre-college level course. Individuals with disabilities may request reasonable accommodation for placement testing. Official documentation verifying the disability and the need for reasonable accommodation must be submitted to the Director of Counseling and Special Services at least two weeks prior to testing appointment. Accommodations include but are not limited to extended test time, paper and pencil version testing, and/or testing using audio or visual enhancing software. Academic dishonesty (cheating) will not be tolerated. Communication with other test takers (inside or outside) while testing (ex. gesturing, signing, talking, etc.) is prohibited. Guidelines governing this can be found in the Student Code of Conduct Policy found on the Stanly Community College website. Instructors will be notified of suspected or confirmed instances of academic dishonesty. Testing center staff have discretion for determining if actions are academic dishonesty infractions is at the discretion of the testing center staff. Testing appointments are based on availability of testing materials and space. To secure a testing appointment, students must schedule at least 24 hours in advance. All testing will start promptly at the designated appointment time. Late arrivals will not be allowed to test and will need to reschedule their appointment. Potential test-takers should not attempt to enter the Testing Center after the scheduled appointment time. The use of calculators, charts, formulas, tables, graph paper, etc. is prohibited unless its use is outlined in the directions for the test/examination. These items may not be shared between or amongst students while taking a test. Once testing has started, students are not to leave the testing area unless there is an emergency. If breaks are permitted by the exam instructions, then all materials, including any communication devices, are not to be accessed by the examinee. Use of materials or communication devices while on break may constitute a violation of the Student Code of Conduct.